Manila, Philippines is set to host the 18th round of the multilateral trade deal - the Regional Comprehensive Economic Partnership (RCEP) that encompasses 50% of the global population. With the Philippines holding the chairmanship of ASEAN for 2017, it can be an opportune time for Philippines to take the lead in ensuring that market gains will not trump the right of millions of people to access affordable medicines. The RCEP is a free trade agreement between the ten member states of the Association of Southeast Asian Nations (ASEAN) and its major Asia-Pacific trading partners Australia, China, India, Japan, New Zealand, and Republic of Korea. It has been billed to be the ‘stepping stone’ in harmonization with other trade agreements being negotiated. Promising as it may sound, this trade agreement however is set to become one of the gravest threats to affordable treatment for patients worldwide. While some of the negotiating member-states are publicizing this free trade agreement (FTA) as a deal that will provide a massive boost to trade, it may in fact have the reverse impact on public health and access to medicines. Negotiations have thus far been done in secret, but leaked texts reveal that harmful intellectual property (IP) provisions are being proposed by Japan and South Korea, home to some of the world’s largest pharmaceutical corporations seeking to secure their presence in emerging markets in the region. Pushing for intellectual property rules that go beyond the World Trade Organization requirements would mean the extension of drug corporations’ patent terms and new monopolies entrenched in the national drug regulatory systems, which would lead to a delay in generic competition translating into continued higher drug prices. For a country like the Philippines, where HIV has begun to show a worrying upward trend along with that of cancer, heart diseases, tuberculosis, hepatitis C to name a few, stricter IP provisions would result in unsustainably high medicine prices. The Philippines is not alone in this predicament as these are issues faced by other ASEAN member states and India. Countries are also negotiating on harmful investor-state dispute provision in the agreement that would raise the risks of ASEAN and India being sued by pharmaceutical corporations for millions of dollars in secret tribunals – outside of domestic courts. These proposed IP provisions will have an unfavorable impact on the policy of governments in the developing world to achieve universal healthcare. There are significant progress made in the public health arena in the past decades and the push forward for universal healthcare in keeping with the commitment to the Sustainable Development Goals (SDG). Do we want to accept such trade deals that will make us backtrack from the gains made? For example, the AIDS crisis in 2000s has highlighted the critical role of played by generic competition in providing access to affordable essential medicines. 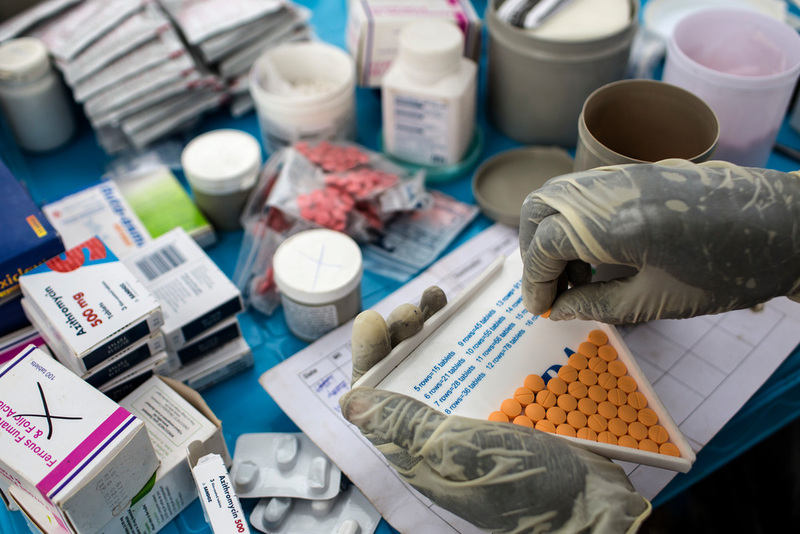 Low cost quality generic medicines have ushered in a treatment revolution in developing countries by bringing down the price of HIV drugs by 99%. Health safeguards in the patent and drug regulatory system in India enabled generic manufacturers to produce some of the cheapest life-saving drugs in the world. And this has played a major role in the scale up of HIV treatment to 17 million people across the world by lowering the price of antiretrovirals (HIV medicines) from over $10,000 per patient per year in 2001 to around $100 a decade later. Aware of the disastrous consequences of spiraling medicine prices used in treatment of diseases such as drug resistant TB and and hepatitis C, Médecins Sans Frontières (MSF)/Doctors Without Borders has continually advocated against detrimental IP provisions in a number of prior trade agreements such as the EU-India FTA and more recently the Trans-Pacific Partnership (TPP). Seeking stricter IP rules in free trade agreements undermines healthcare systems. Intellectual property monopolies will not address emerging global public health challenges. And countries like the Philippines, Indonesia, and others which are attempting to increase access to health care and treatment amongst its population will face further challenges if they accept these harmful provisions. We hope that the Philippines, being the ASEAN chair this year, will push the ASEAN to reject all provisions that go beyond international trade rules. In its place, the Philippines should champion and ensure the protection of existing public health safeguards in the RCEP agreement, therefore, enabling developing countries to effectively balance their patent system with public health needs. Dr Maria Guevara is the Regional Humanitarian Representative of MSF in Asia. This op-ed was first published in Business World on 5 May 2017. Tsunami survivor in Labuan, Indonesia: "Thank God, my family is safe!"